Liverpool star Mo Salah has planned a nice gesture for the club’s supporters during the current international break… but it didn’t quite go to plan. 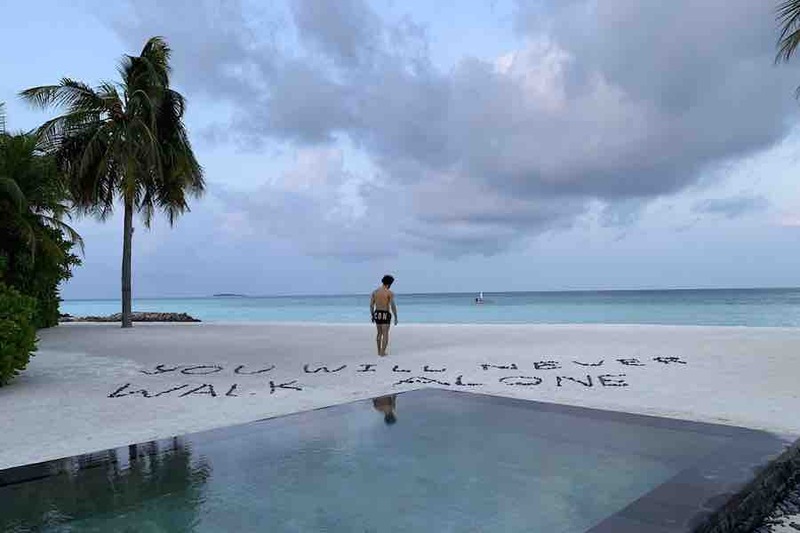 The Egypt international was sunning himself on a beach in his native Egypt and decided to write the title of Liverpool’s anthem You’ll Never Walk Alone in the sand. He posted a photo of his efforts to social media, accompanied by the hashtag #YNWA (strangely not #YWNWA).